Cosmetic Acupuncture is a specialized field of acupuncture that focuses on treating various skin conditions and improving the patient's appearance. It offers a non-surgical way of reducing wrinkles, sagging of the face, and eye bags. It also improves general health and well-being. Cosmetic acupuncture for facial rejuvenation offers a safe alternative to Botox, collagen injection and cosmetic surgery. 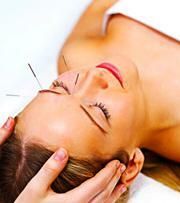 ES Health Balance is an alternative medicine clinic that serves Chicago area. Copyright © 2013 - 2019 ES Health Balance. All Rights Reserved.